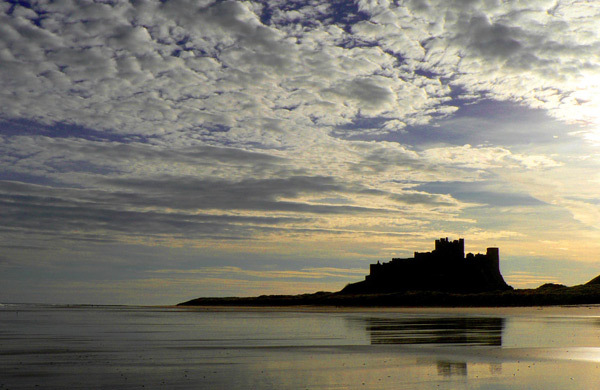 If you’re looking for real peace and solitude explore north Northumberland. You can enjoy mile after mile of sandy beaches with castles such as Bamburgh, Royal Seat of the Kings of Northumbria, as your backdrop. 64km of the coastline from Berwick-upon-Tweed in the north down to the Coquet Estuary is designated as an Area of Outstanding Natural Beauty and is home to numerous seabird colonies. Explore bustling market towns like Seahouses or Bewick with its fortified walls and fascinating military history. Ford & Etal is a hidden gem of Northumberland, a privately-owned rural estate in the foothills of the Cheviots. Offering a range of all-weather attractions and activities including steam railway, heavy horse centre, famous battlefield, Victorian Cornmill, picture-postcard villages, quirky tearooms and stunning scenery there’s something for every age and interest. Stunning, four-star Langley Castle Hotel and Restaurant, in Langley-on-Tyne, strives to excel at everything it does within its seven-foot thick, 14th century walls, whilst also taking its home county of Northumberland on an incredible journey focused on pride, passion and a penchant for doing things Northumberland’s own inimitable way. The castle, built in 1350, oozes sense of place no matter which century you wish to focus upon, being far more than just a façade and having the true depth and identity that emanates from authenticity, rather than fake features and an unconvincing historic veneer. When you ask yourself where else you could stay in the UK and see medieval garderobes (posh lavatories), the answer is ‘nowhere’ and this ‘litmus test’ validates why Langley is just so special and why it is a place with which people instantly fall in love.